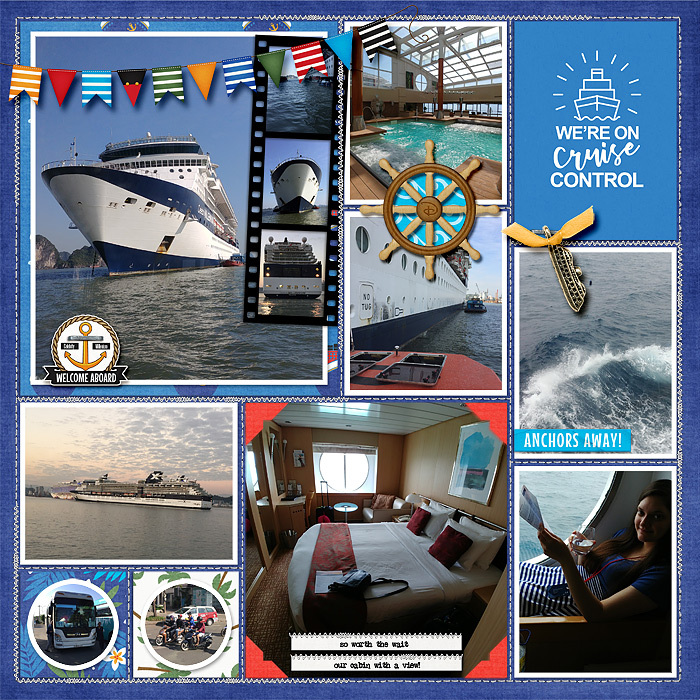 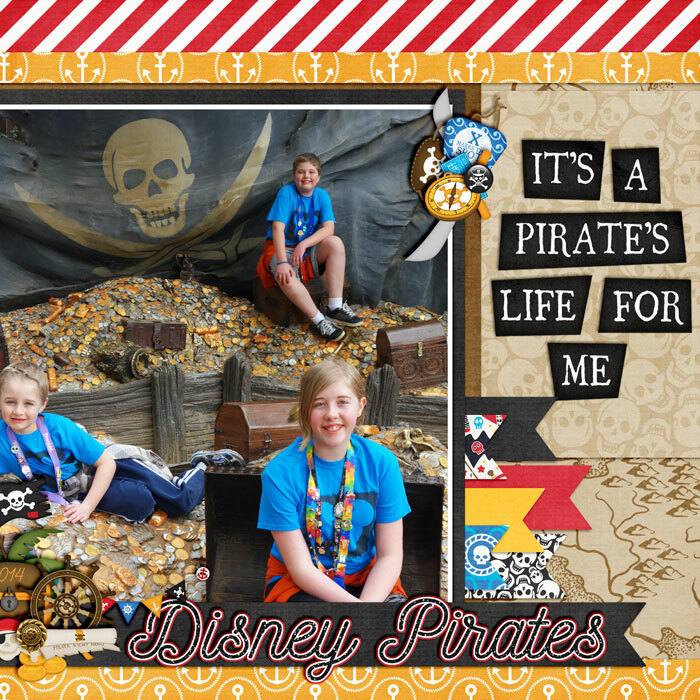 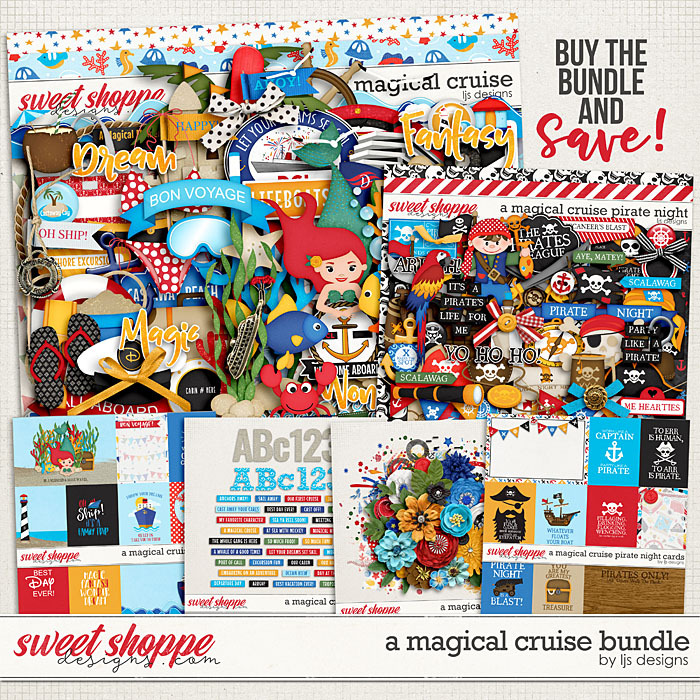 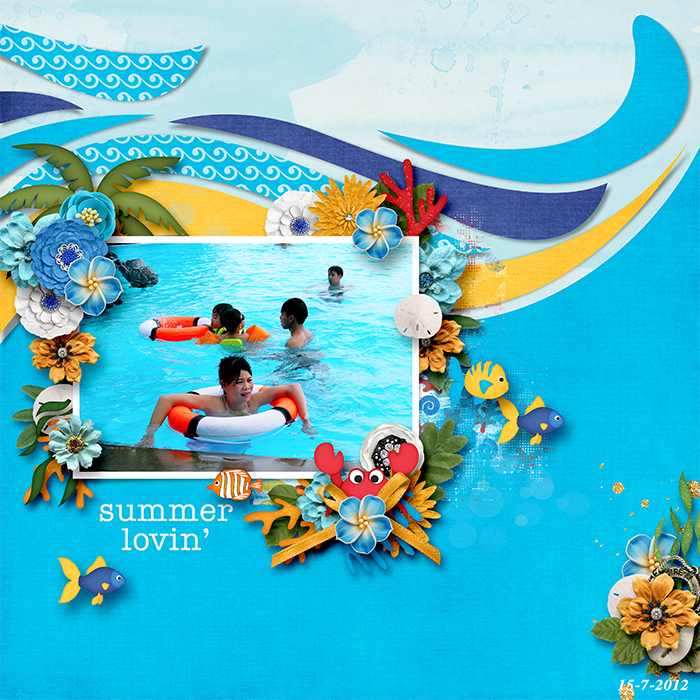 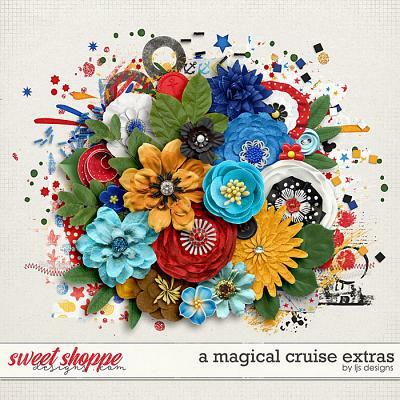 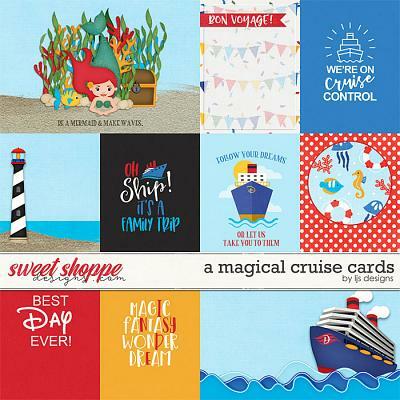 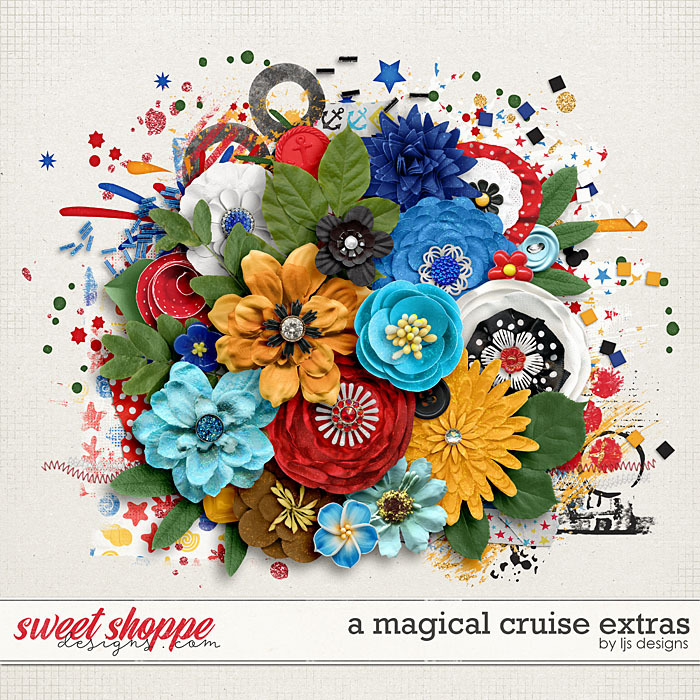 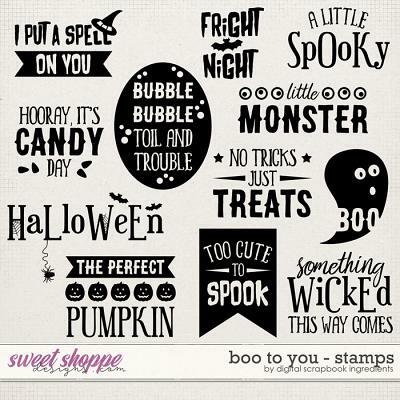 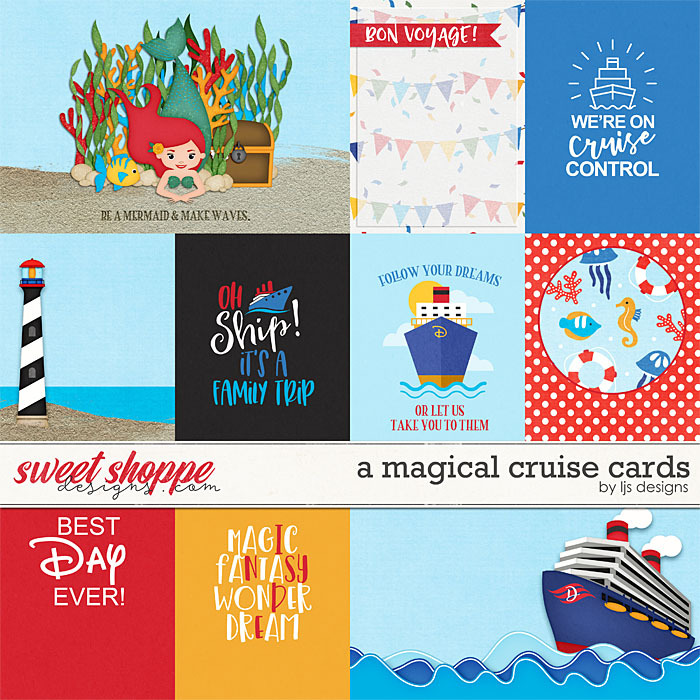 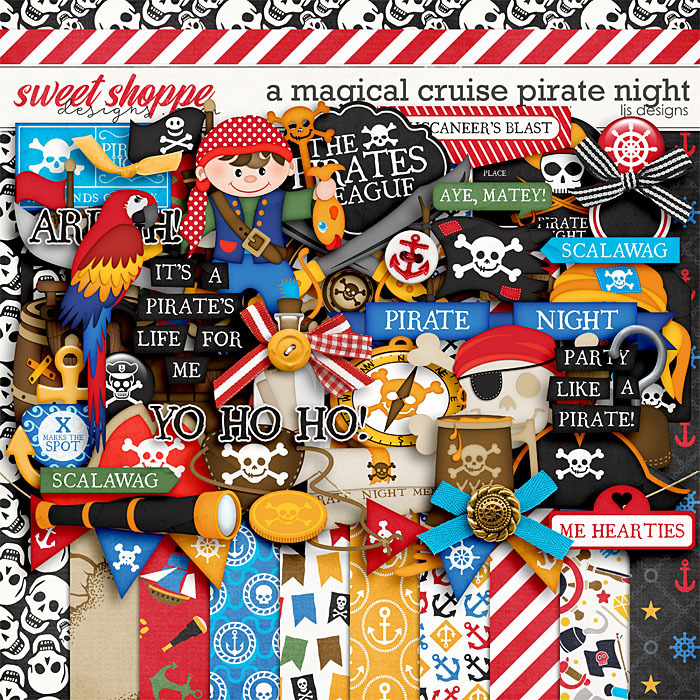 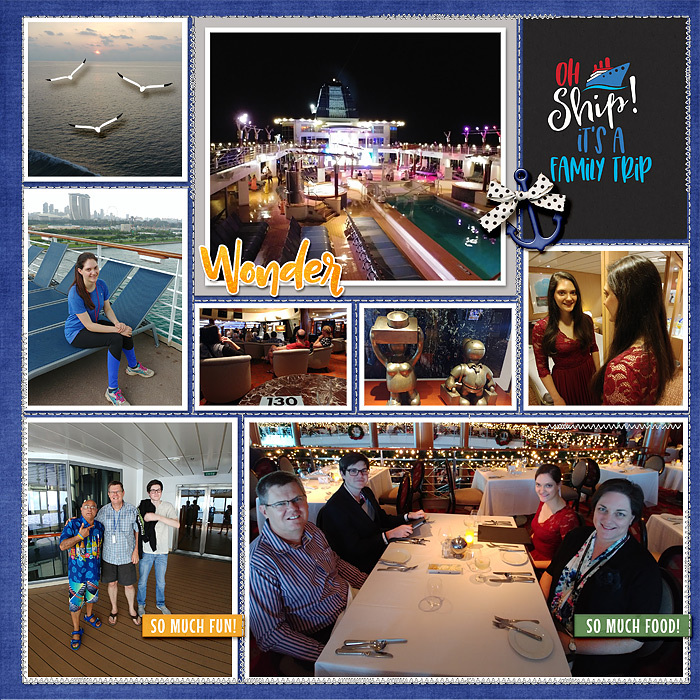 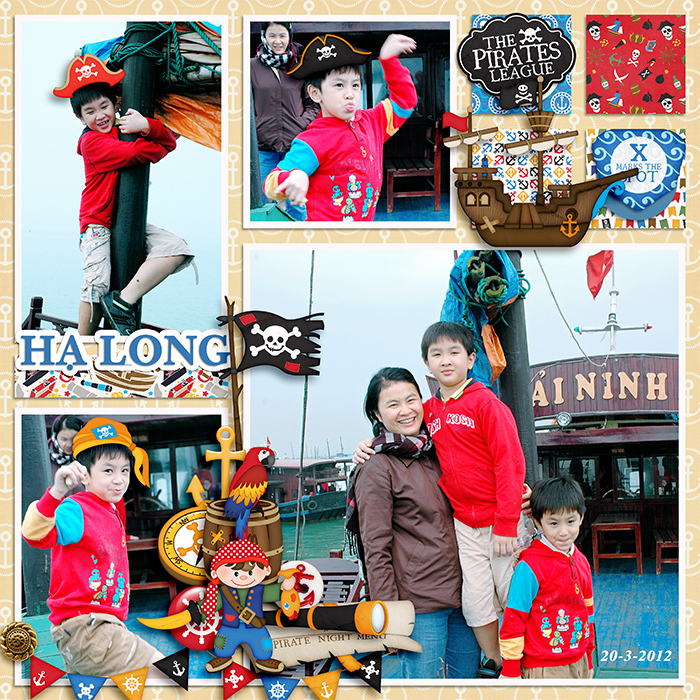 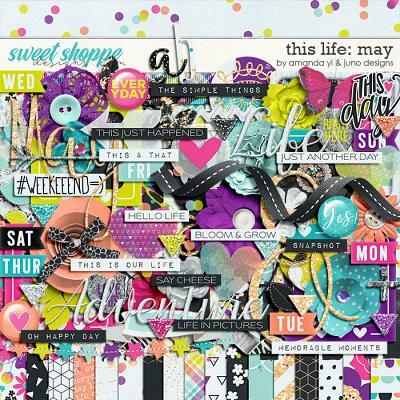 A digital scrapbooking bundle by LJS Designs, A Magical Cruise Bundle has everything you need to scrap your Disney Cruise. 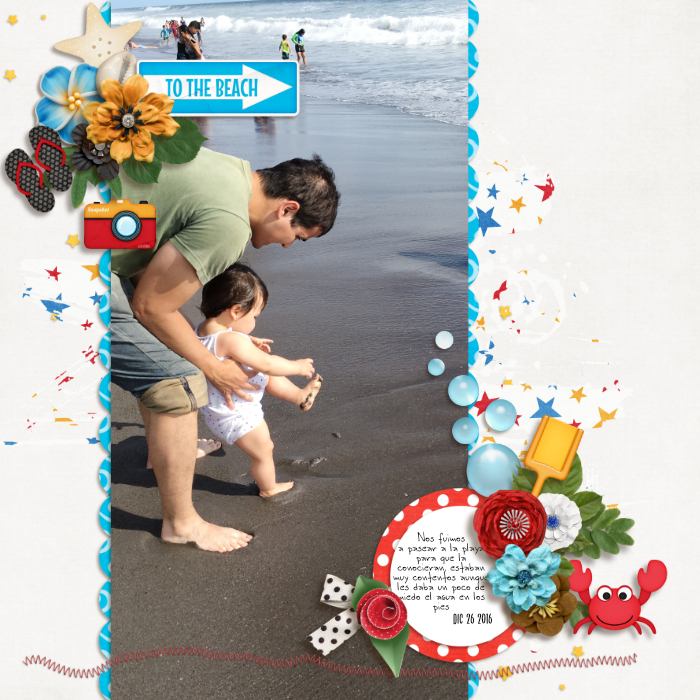 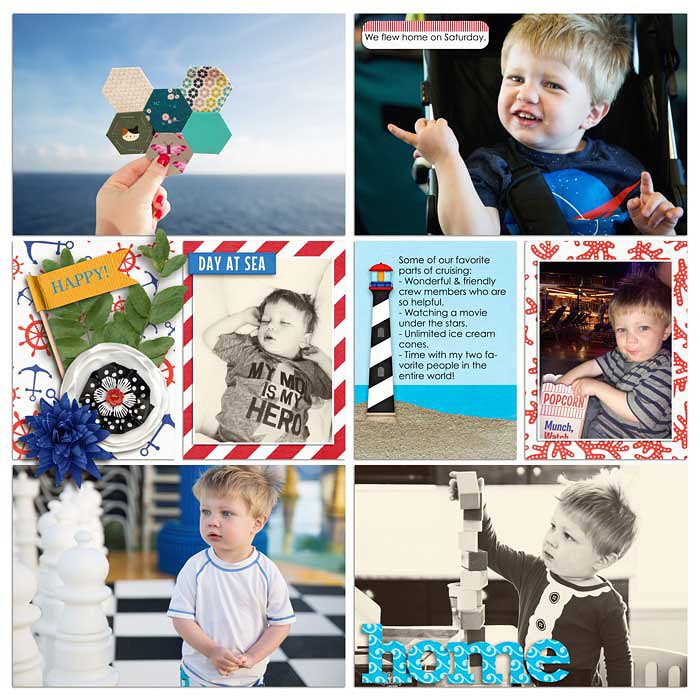 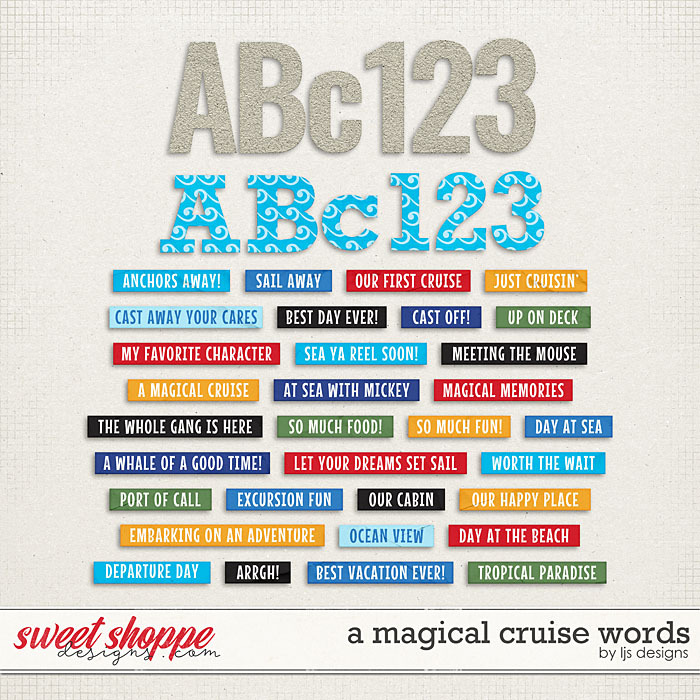 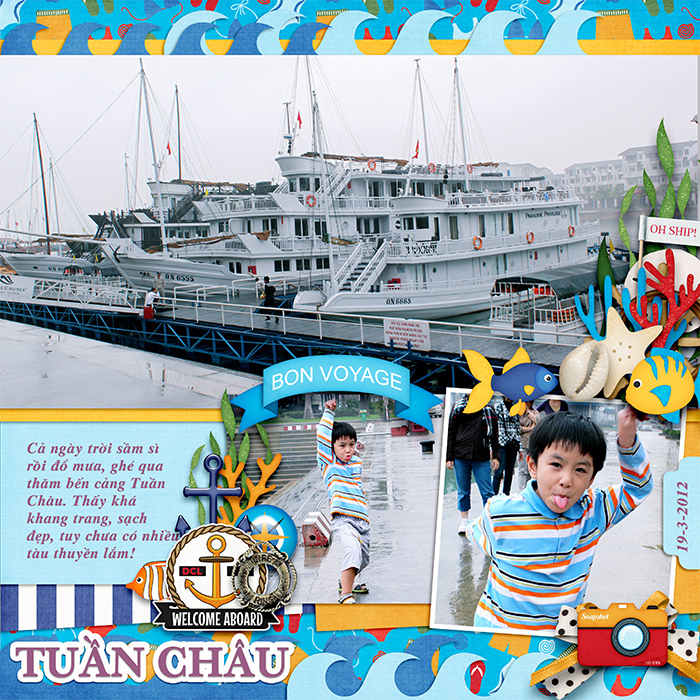 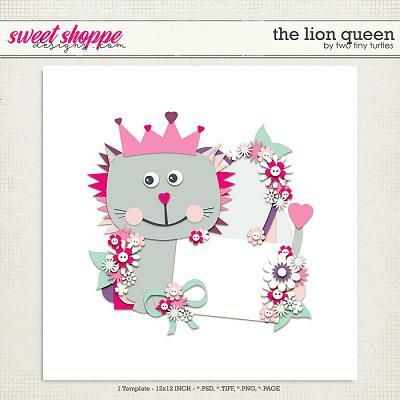 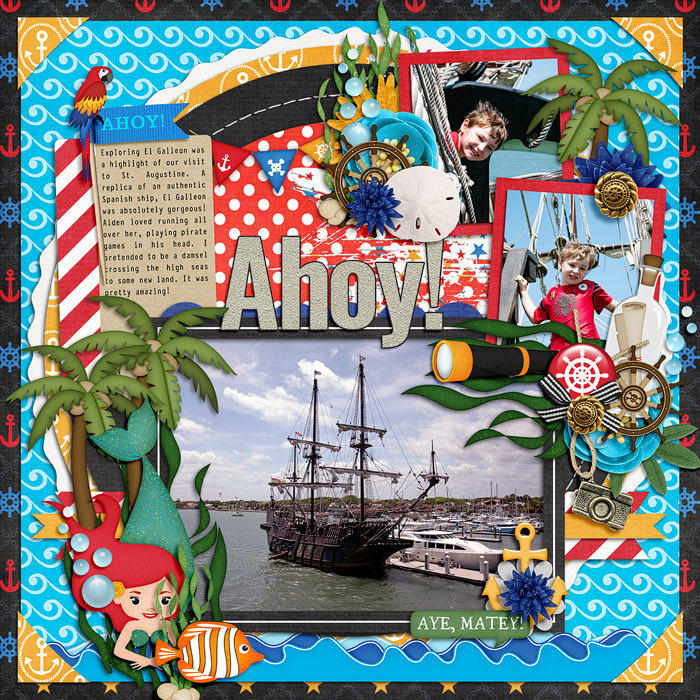 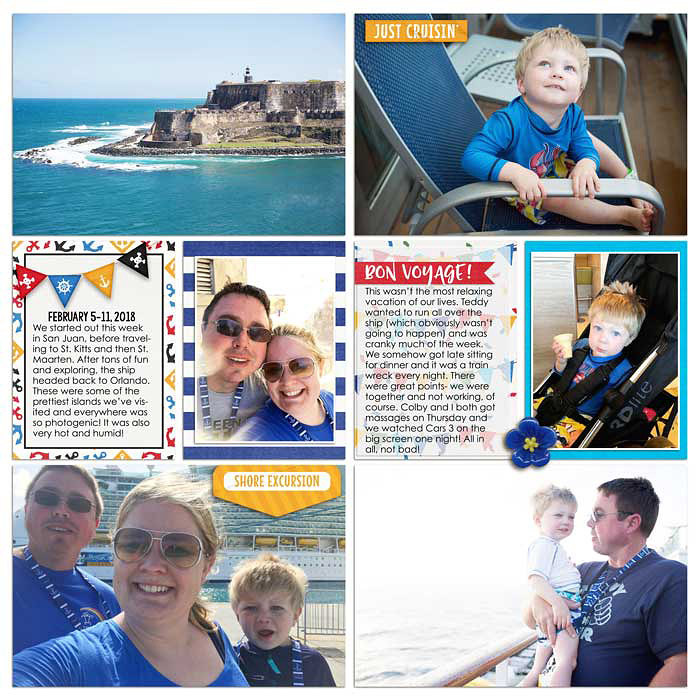 With it bright color palette, fun paper patterns, a ton of themed elements, flowers, cards and wordy bits, A Magical Cruise Bundle will take your Disney Cruise scrapbook from arrival to departure and highlight all the fun activities on the water or at the beach. 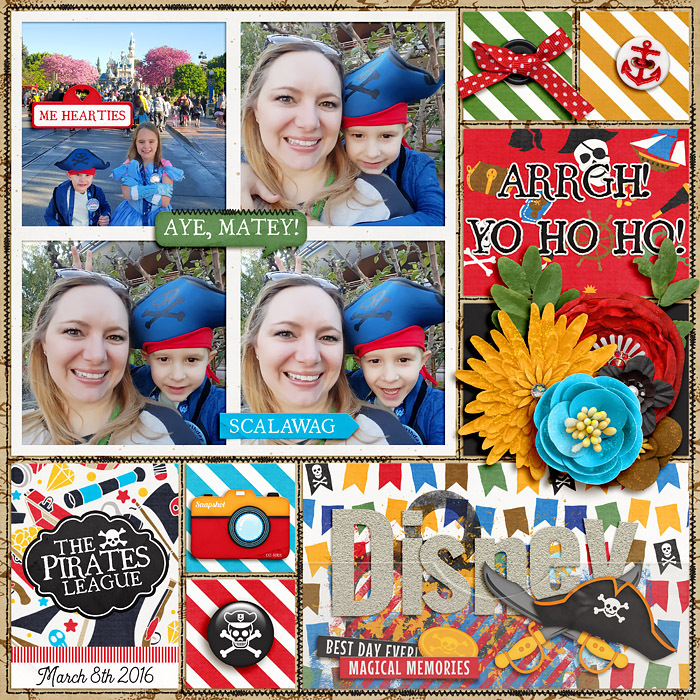 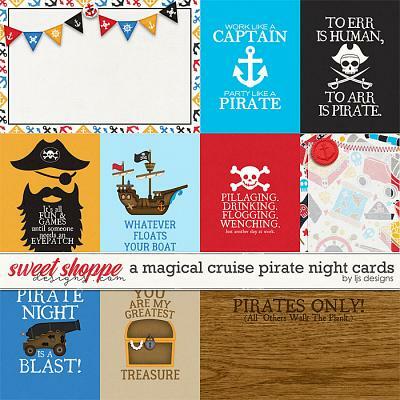 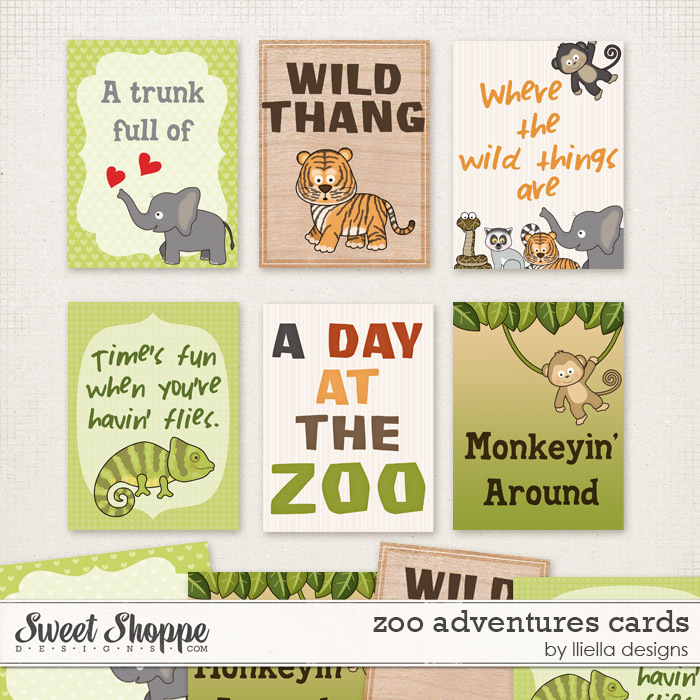 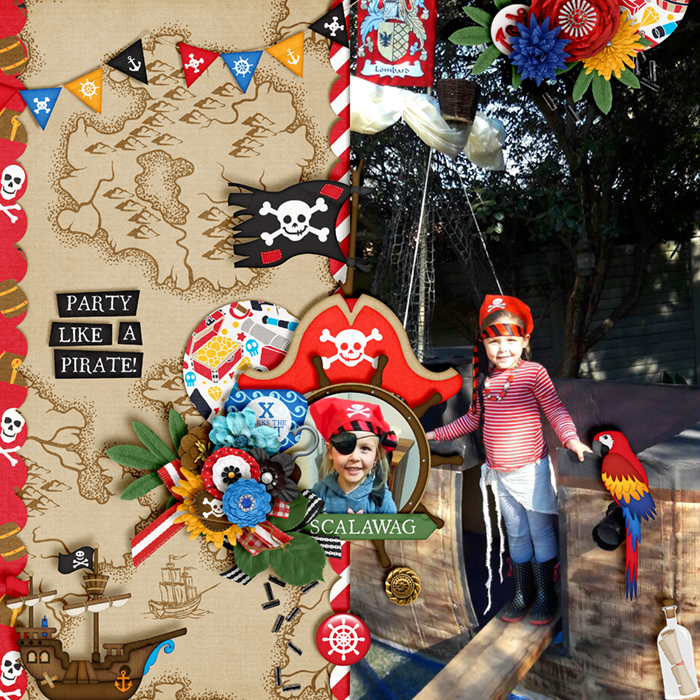 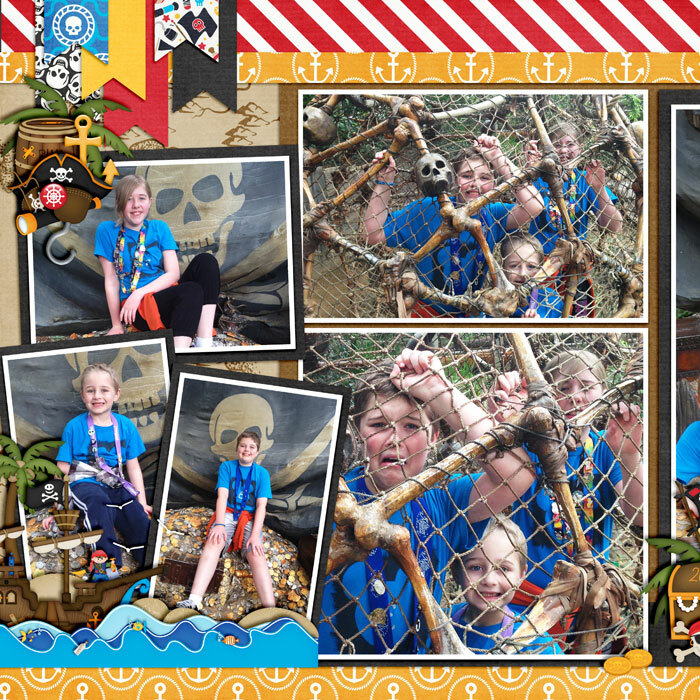 I've even included the Pirate Night kit and cards in this bundle so that you can capture your swashbuckling adventure and memories. 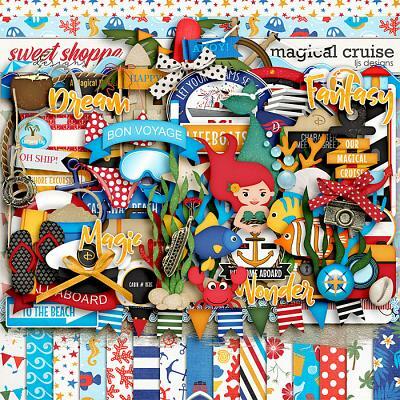 A Magical Cruise Elements: 2 anchors, bag, 2 banners, 2 bikinis, 3 bows, bubbles, cabin door number, camera, captain's hat, 3 charms, 3 coral, crab, cruise ship, drink, 3 fish, 4 flags, 3 flairs, flipflops, 4 frames, hoot, knot, 5 labels, life preserver, lighthouse, mermaid, paddle, pail, palm tree, rocks, sand, sand castle, seagulls, 2 seaweed, 2 shells, ship's wheel, shovel, 4 signs, snorkel mask, starfish, suitcase, swim trunks, 4 titles, treasure chest, 2 waves. 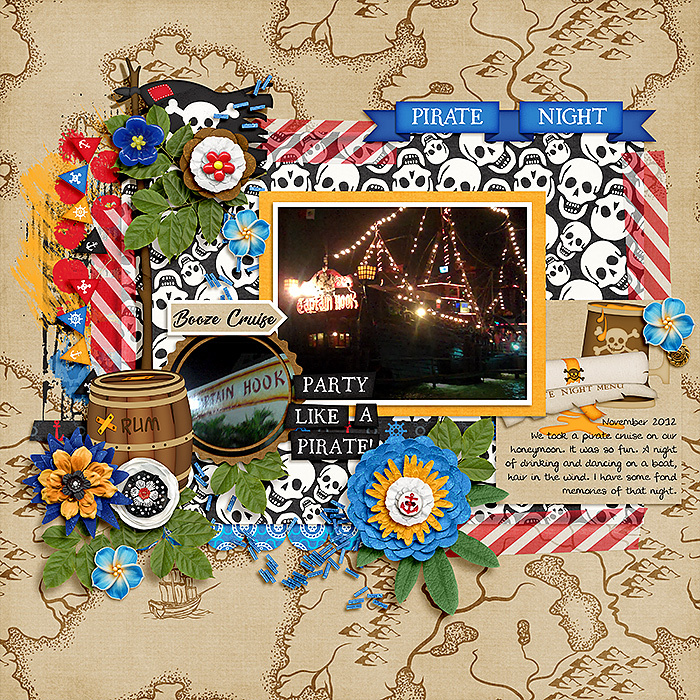 Extra Pack Elements: 2 bead scatters, 4 buttons, confetti, fireworks, 17 flowers, 2 glitter scatters, 4 leaves, 4 paint, 2 stitches, 3 tapes.